There is no finer city to visit than Pittsburgh, PA. From it’s century-old steel industry, to its celebrated world of sports, to fine restaurants, famous museums, the opportunities are plentiful. It is a city which no individual, family, or couple should never miss out. Upon arrival in the Steel City, anyone is sure to find the right hotel to stay at. The question anyone would ask is, “Which hotels in Pittsburgh are the best?”. Whether staying for two nights or longer, Pittsburgh has a many great hotels to choose from. To make the decision making simpler, here are the top five hotels in Pittsburgh. 5) Wyndham Grand Pittsburgh: Located in the heart of Pittsburgh city center, this hotel features 2 full service bars and a restaurant. Free Wi-Fi is available in every guestroom. The Duquesne Incline is less than one mile away. Point State Park is directly across from the hotel. Both Heinz Field, home of the Pittsburgh Steelers and the Andy Warhol Museum are within a five minutes drive away. 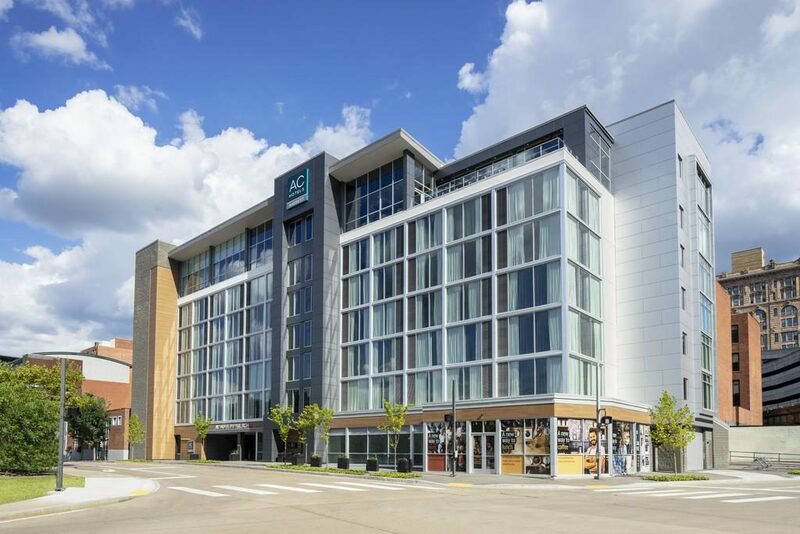 4) DoubleTree by Hilton Hotel & Suites Pittsburgh Downtown: Located between the U.S. Steel Tower and PPG Paints Arena in the center of Pittsburgh’s business district, this hotel offers spacious guestrooms and suites as well as comfortable amenities. DoubleTree by Hilton Hotel & Suites Pittsburgh Downtown features free shuttle service throughout downtown Pittsburgh. Business travelers in particular like the location! 3) Pittsburgh City Center Marriott: this hotel is within walking distance of Mellon Arena and PNC Park, home to the Pittsburgh Pirates baseball team. The Andy Warhol Museum is a short drive from the Marriott City Center Pittsburgh. Sand Castle Water Park is also within driving distance of the hotel. Business travelers highly recommend this hotel property! 2) Renaissance Pittsburgh Hotel: This four-star luxury hotel in downtown Pittsburgh is located one mile from Heinz Field. Housed within the original Fulton Building, it offers two on-site restaurants and rooms with free Wi-Fi access. The David H. Lawrence Convention Center is a quick ten minute walk from the Renaissance. The Andy Warhol Museum and PNC Park are both a one mile distance from the Renaissance. PPG Paints Arena is five-minutes away. The Renaissance is a fifteen minute drive from the Pittsburgh Zoo and Aquarium. Pittsburgh Union Station is just ten minutes walking distance away. Being within close distance from area points of interest, the Renaissance is well-deserving of being among of the top-rated hotels in Pittsburgh. 1) AC Hotel by Marriott Pittsburgh (above): Located directly next door from the David L. Lawrence Convention Center, AC Hotel by Marriott Pittsburgh has a number of amenities including a fitness center and free Wi-Fi. Located less than one mile from the Andy Warhol Museum, the hotel is also a fifteen-minute walk away from PNC Park. The Senator John Heinz History center is directly next door. At the AC Hotel by Marriott Pittsburgh, AC Kitchen serves European inspired breakfast each morning featuring assorted European and domestic cheeses, freshly baked croissants, artisan cured meats, cereals, seasonal fruits and sweet and savory tarts. The most intriguing part of the hotel-the hotel lobby is on the top floor, with the guest rooms on the floors below. Traveling into Pittsburgh by train? This is why the AC Hotel by Marriott Pittsburgh is the #1 hotel on the list. Pittsburgh Union Station is located on Liberty Avenue, a quick three-minute around-the-block walk from the hotel. The guest rooms at the AC by Marriott Pittsburgh are absolutely phenomenal. The European style bathrooms are inviting, roomy, and will make guests close their eyes and think they’re in Italy. Like watching trains? Guest rooms on the north side of the hotel have a gaping view of the Allegheny River and the railroad bridge. More than fifty trains roll by on a daily basis.